Our EU Austerity Drinking Tour continues today in search of a feast. Paris is constantly awash with events. 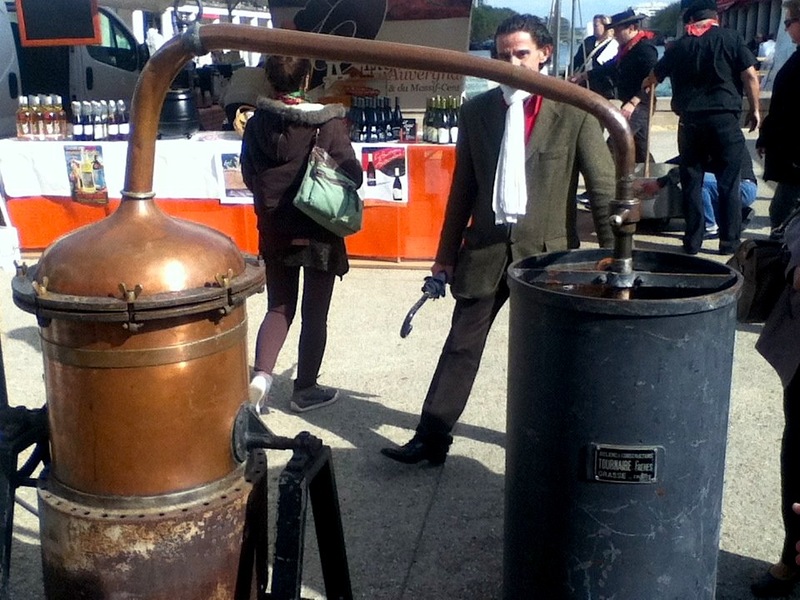 We stumble onto La Fête des Régions: the biggest fair of regional food in France. Terroir-tastic Batman! Since it was right next to Stalingrad Metro and a lovely canal, we gave ourselves permission to drink and eat…everything. Lavender vapors pour from the Provence still. But we came here to drink. So we start light. Question: can the French make a decent beer? It looks a hazy, coppery, gold, with fine fizz and a thin white lace. Aromas turn up apricot, orange, lemon, and wheat. The palate is dry, quite zippy, barely tannic, average in alcohol (5.5), with average intensity flavors of tart apple, underripe orange, grass, wheat, with a honey finish. The length is surprisingly medium plus, rendering this beer a faultless, very good (4 of 5). 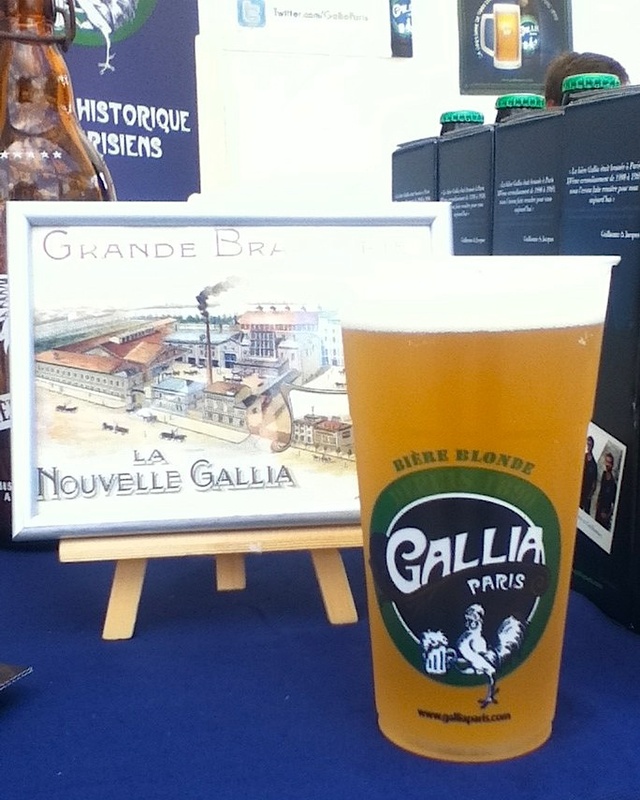 The French can make beer. From Paris, we walk five feet to Alsace in Eastern France. The highlight is Théo Meyer’s 2010 Riesling‏. The wine glows a pale green. Youthful, vibrant aromas of apricots, honey, and smoke jump up. Minimal sugar allows for acids to slice and dice, ripe, 12.5% alcohol to warm, and a medium body to cajole us. Complex but friendly flavors of honey, almond, and wood smoke boldly lead to a medium plus length. It’s not a challenging Riesling. But it’s very good (4 of 5). From Alsace, we zip West to the Atlantic Coast, where the green Muscadet grape reigns supreme. It looks like clear, pale lemonade. But don’t let that fool you. Strong aromas smell of honeyed lemon and cream. Dry, high acid, medium alcohol and body lead to medium plus flavors of white melon and salt. But this being France, wine rarely exists in isolation. Now we hate mussels. Tracy cringes and closes her face at the thought. 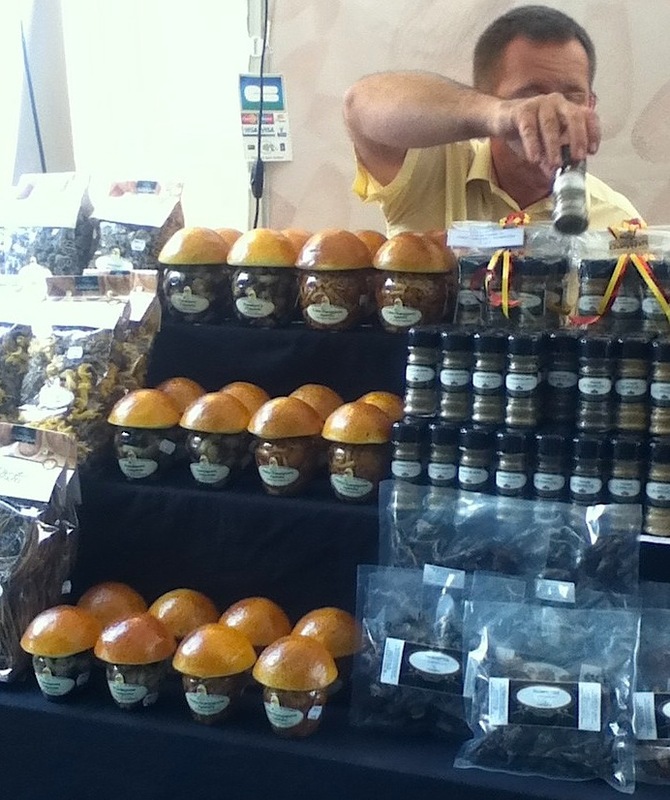 But once forced down our palates, both wine and food let go of their briny salt and become riper and fruitier. 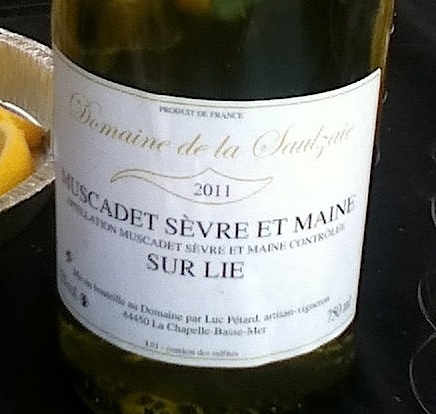 Saulzaie’s Muscadet sings a perfect duet with mussels from Mont St. Michel. 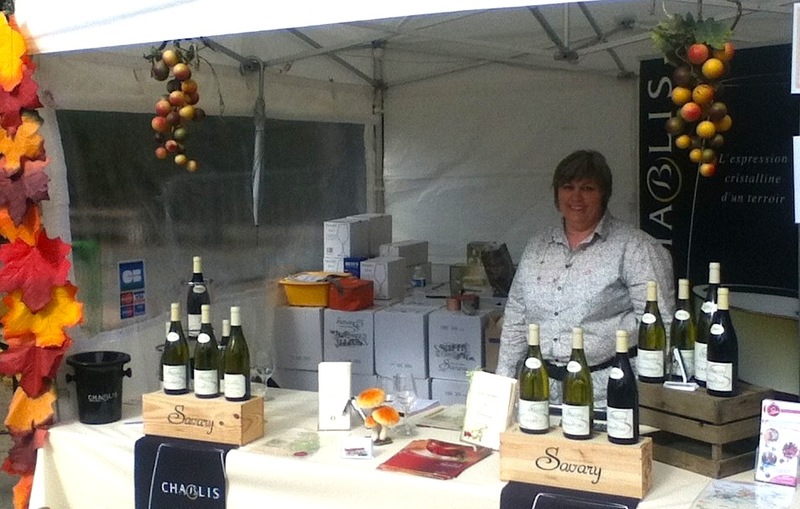 From the coast to the core of the continent, Savary’s wines typify Chablis. It is clear, pastel yellow with noted legs. Aromatic mead, salty mineral, and golden delicious apple dominate the glass. Lean, dry, brightly tart with exuberant flavors of bee’s wax, lime, lemon juice, lovely honeyed green apple. The length is quite long. This is classic Chablis. Very good (4 of 5). Ready for red, we hop SE to Burgundy: specifically to a wine region appellation never sold outside France: the Côtes du Couches. It’s bright, limpid ruby color invites. Red cherry, kirsch, vanilla, and clove smell youthful and intent. Medium acids, tannins, and alcohols lead to a surprisingly full-some body. Ripe cherry, raspberry, oak, and chalk and a medium length, textbook, and very good (4 of 5) Burgundy from a micro-appelation. 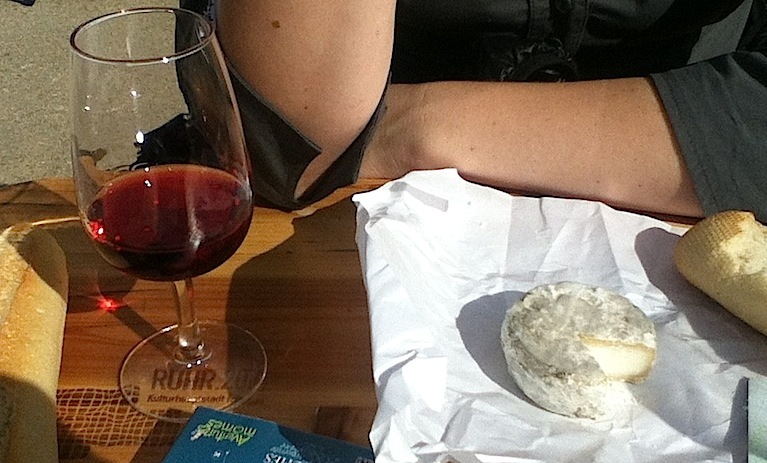 The tart, chalky, creamy, nutty, funky old goat cheese with a baguette takes us near heaven. 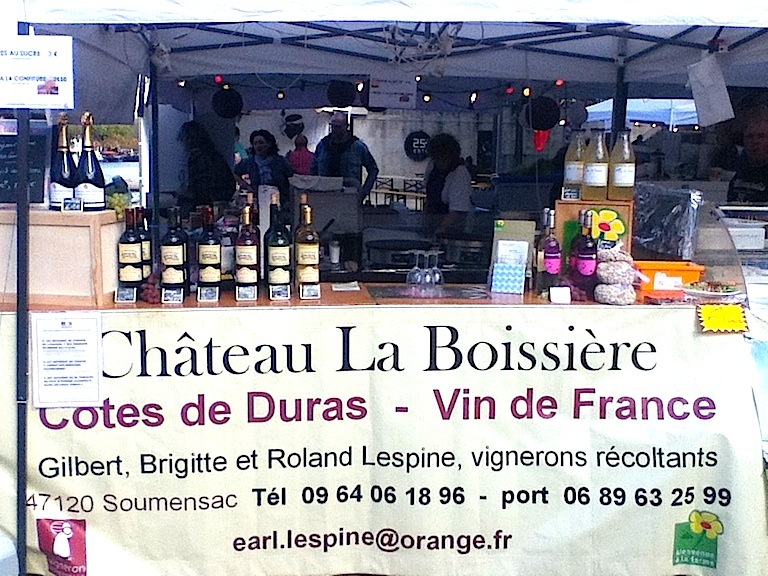 Duras is inland from Bordeaux and also grows the cabernets, merlot, malbec. The 2009 rouge looks dark ruby with narrow legs. Strong, young aromas of vanilla and coconut that typify American oak lather themselves in hot bramble berries. The palate feels dry, woody, tannic, with average alcohol, but a beefy body. Average intensity flavors of burnt, black bramble pie, olive, and American oak make for a medium length, good (3 of 5), value (only 5.90 Euros?) red from a rare place. Completely blissed-out on wine and food from the whole of France, my wife and I decide our palates are shot. Any more regional specificity would be wasted on us. We leave the canal square and stumble back home, excited. Months into our EU Austerity Drinking Adventure and France has finally shown us the way. We will follow its yellow brick road of wine from region to region and drink as much as this country can pour. This entry was posted in Paris, WINERIES WANDERED and tagged Alsace, Beer, Bière Blonde, Burgundy, Côtes du Couches, chardonnay, Chateau de Couches, Château la Boissière, DURAS, EU Austerity Drinking Adventure, European Union, France, Gallia, La Fête des Régions, La Semaine du Goût, Muscadet, Muscadet Sèvre et Maine, Muscadet Sur Lie, Oak, Oak (wine), Paris, pinot noir, riesling, Terrior, Théo Meyer, wine. Bookmark the permalink. C’est fantastique!! Mmmmm . . . mussels!! I only make them for myself when my husband is out of town . . . on account of him loathing them. ;o) What a great day you had!! 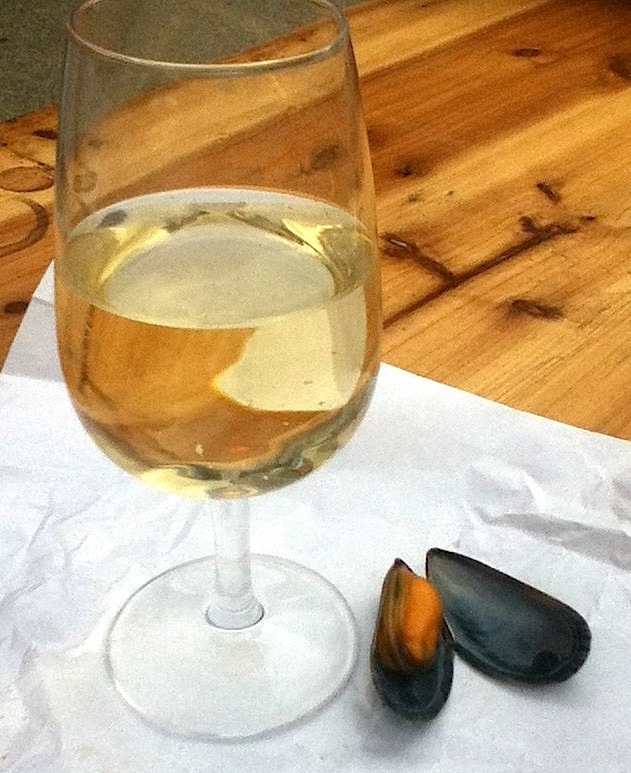 I’ve learned to love mussels, especially with crisp whites, surrounded by a bunch of slurping French people. Someday, take him to France and when it’s boiling hot, and he will fall in love. A closed mind just needs opening (and peer pressure is magic). Thank you, and for now you’re secret is safe. 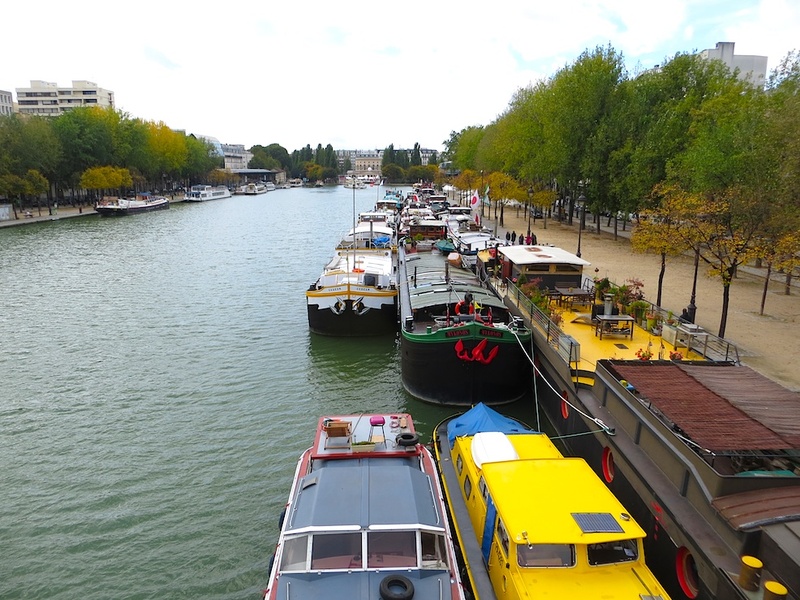 Ideal, near thte canal, boats, never sold out of the country! We were lucky ducks! And it was sunny! In Paris!